Food, drink and the ultimate follow-up: getting a tattoo. How about a temporary one, eh? A starter tattoo. Henna or paint. 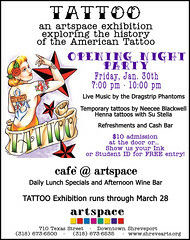 See the opening of Tattoo, Artspace edgy, Fri from 7 to 10 pm. $10 or you're comped when you show your tattoo. Or when you show some student Id. Jazzset, narrated by singer Dee Dee Bridgewater and broadcast on Red River Radio, 89.9, will feature Shreveport native Brian Blade and his band, Fellowship, Tues at 8 pm, says Brady Blade. The copy at NPR.org says, "Late in the 1980s, Brian Blade left home in Shreveport for Loyola University in New Orleans. He studied with the city's legendary teachers and formed his own working trio. When Blade moved from New Orleans to New York, his bandmates — Jon Cowherd on piano and Chris Thomas on bass — relocated, as well. Adding a guitar and two saxophones, they became the Fellowship Band." How'd he become so loved by the NYC media? "Word of mouth raised Blade's profile, at which point major artists, including Joni Mitchell and Bob Dylan, began to hire him. Wayne Shorter also scooped him up for the superb Wayne Shorter Quartet. His career on a strong upward trajectory, Blade keeps his feet on the pedals, his ears and heart open to the moment, and continues to lead the Fellowship Band." You don't really have to wait til Tues; you can hear the concert right now at npr.org. There's a lovely interview and almost an hour of music. The recent Fellowship album is called Season of Change; I highly recommend it. Something else you'll find at npr.org is a taste of Brian's next record, to be called Mama Rosa. Npr writes, "On this one, he wrote all the songs, plays guitar and sings." There's a preview, a song called "Mercy angel." It's rich. 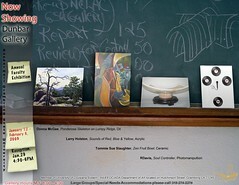 Grambling St Univ faculty art, Dunbar Gallery, Jan. 12 - Feb. 6. A reception will be held from 4:30 to 6 p.m., Jan. 29, at Dunbar Gallery, Grambling State University, for an exhibit by 4 GSU faculty artists, says Byron McCauley. Exhibiting are Donna McGee, Rodrecas "Drék" Davis, Tommie Sue Slaughter and Larry Holston. Around the Gallery is the new email newsletter from RW Norton Art Foundation. Edited by Kristi Kohl, the extensive package has articles helpful to a wide range of readers. Contributors include Everl Adair, Gary D. Ford, Jennifer DeFratis and Kip DeHart. Featured Artist: Anna Hyatt Huntington, Featured Artwork: Cybis Porcelain, Can You Guess the Title and Artist? Did You Know? For the Kids: Where's the Love? and From the Vaults: Vintage Valentines. As befits Norton, it is a richly-illustrated package. Subscribe by visiting their exemplary web site: rwnaf.org. 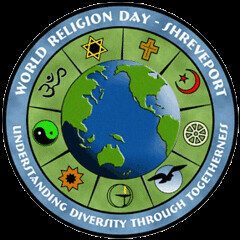 World Religion day, Spt-Bossier: Sun, Jan 25, 1 to 6 pm, Highland Center, 520 Olive St.
Sun, Jan 25, 1 to 6 pm, Highland Center, 520 Olive St.
"Our celebration of World Religion Day is a full afternoon of speakers, panel discussions, table displays, music and dance. Come and learn about the religions of the world from members of 18 or more different faith communities," says Susan Caldwell of All Souls Unitarian. World Religion Day is an international celebration founded by the Baha'is over 50 years ago and celebrated on the 3rd Sunday in January. The local celebration is always the Sunday after the Martin Luther King holiday weekend, so as to give both celebrations the respect and attention they deserve. "Our own Ashley Murphy," says Carol Anglin, "will return to Shreveport February 10 & 11 to dance with the reknowned Dance Theater of Harlem. There will be a performance for the general public in addition to two student performances of the renowned Dance Theatre of Harlem Ensemble!" "Bailey and I attended the tour in NYC in December at Aaron Davis Hall - City College in Harlem - and we were thrilled to see Ashley in so many principal roles in the choreography throughout the performance. Ashley has matured into an exquisite young dancer who can dance with any major ballet or modern dance company in the world." The public performance is Tuesday, Feb. 10th @ 7:30 pm at the Strand. On Wednesday, February 11th - which is the actual 40th Anniversary of the Dance Theatre of Harlem, there will be two student performances. "Plans are for Whoopi Goldberg and Barbara Walters to announce Dance Theatre of Harlem's 40th Anniversary on The View live from the Strand Theatre in Shreveport, LA. George Sirven and KTBS will help us link everything – if all goes as planned!" added Anglin. More at the Louisiana Dance Theater web site. It's on Twitter and now it's on email: Shreveport's getting Milk. Says Adrienne Critcher, "Exciting news that we've been waiting for: "MILK" opens Friday, Feb. 6 at the Robinson Film Center." She continues, "We are very grateful to Chris Jay and the Robinson Film Center for working hard to bring this film to Shreveport. The RFC will also be running a slide before the movie promoting PACE's NW LA Gay & Lesbian Film Festival to be held Sept. 11-13, 2009. 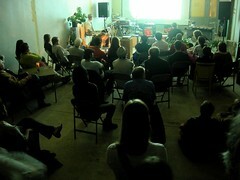 And if you haven't done so yet, be sure to check out the revamped PACE web site at: www.pacelouisiana.org. Many thanks to David Hylan." minicine? hosts Latham Zearfoss and DJ Ethan White, who will present a touring program of film and video Mon, Jan 26, says David Nelson. Channeling is an entryway into the spirit realm and the queer body politic: a program of experimental moving image work that calls up the ghosts of the past and the specters of the future. The intent of the program is to re-imagine film and video as occult technologies that allow us to connect with the bodies, experiences, and emotions that are often invisible– ghostly, even–in everyday life. Channeling presents emerging and established artists critically engaging with these concerns on their own campy, poetic, sexual, humorous, and even utopian terms, using a variety of aesthetic approaches such as digital video, homemade effects, saturated 8mm, home movies, animation, green screen, and more. Donna McKechnie , Tony Award winner and star of the original A Chorus Line, will perform her cabaret show, Gypsy in my Soul, as a benefit for River City Repertory Theater, Shrevport-Bossier’s professional theatre company. The performance is a one night only event, Wed, Jan 28, at The Capri Theatre in downtown Shreveport, says Patric McWilliams. Local audiences saw Ms. McKecknie star as Amanda Wingfield in The Glass Menagerie during River City Rep’s inaugural season. McKechnie takes the audience on a “backstage” tour of life on the road, sharing anecdotes, songs and dance numbers from her celebrated theatrical career. Offering a glimpse into musical theatre history, this award winning actress recreates highlights from some of the many shows in which she starred, such as Sweet Charity, Company and Follies. Post-performance reception in the theater lobby with Ms McKechnie. 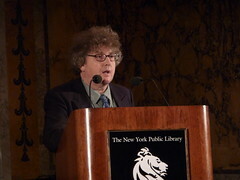 Centenary College will present the 2009 Corrington Award for Literary Excellence to Pulitzer-Prize winning poet Paul Muldoon at a public reading Thursday, Jan. 22. beginning at 7 p.m. in the Whited Room located in Bynum Commons on Centenary's campus. Muldoon will read from his own work, past and current. Sponsored by the Centenary English Department, the event is free and open to the public. 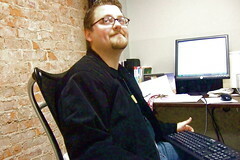 Muldoon was born in Northern Ireland and moved to the United States in 1987. 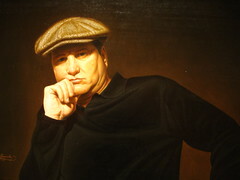 He joined the Princeton faculty in 1990 and directed the University's Program in Creative Writing from 1993 until 2002. A former Professor of Poetry at the University of Oxford, he is currently Howard G. B. Clark '21 Professor in the Humanities at Princeton University where he is Chair of the Lewis Arts Center and Chair of the Fund for Irish Studies. Muldoon is also the current Poetry Editor for The New Yorker. He lives with his family in Princeton, N.J.and plays in the rock band Rackett. Among Muldoon's collections of poetry are: "New Weather" (1973), "Mules" (1977), "Why Brownlee Left" (1980), "Meeting the British" (1987), "Madoc: A Mystery" (1990), "The Annals of Chile" (1994), "Hay" (1998), "Poems 1968-1998" (2001), "Moy Sand and Gravel" (2003; winner of 2003 Pulitzer Prize for Poetry), and "Horse Latitudes" (2006) . 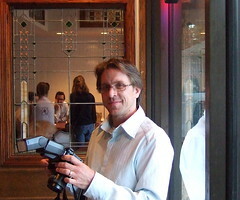 For more: Jeff Hendricks, Professor of English and Film Studies, at 820.1414. New York writer Jami Attenberg and five Louisiana authors will read Thurs, Jan 29, from 5:30 PM to 7:30 PM at Robinson Film Center’s first installment of The Living Page - A Reading Series. This event is free and open to the public, says Charity Schubert. 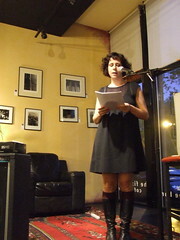 The readings will take place in Abby Singer’s Bistro. Food and drinks will be available for purchase. Jami Attenberg will read from The Kept Man (Riverhead). The group of Louisiana writers includes Tracy Carnes, Randy Denmon, Deborah Leblanc, Shellie Rushing Tomlinson, and Lenora Worth. Select titles will be available for purchase at the reading. Please join us in a community meeting, writes Matthew Linn, to discuss an exciting community event scheduled for this fall. Vélo Dendro S is a community bicycle tour of Shreveport’s most significant trees. Light refreshments will be served. The meeting is Tues, Jan 20, 3:30 p.m. at Columbia Café. The LSU AgCenter and Baton Rouge Advocates for Safe Streets (B.R.A.S.S.) 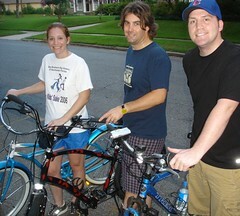 will bring Vélo Dendro to Shreveport in 2009. Vélo Dendro S is a leisurely bicycle tour of significant trees in our city. Riders – amateur and experienced, young and old – will enjoy the camaraderie of a slow, easy, fun bike ride on the streets of Shreveport. Shreveport native Dr. Hallie Dozier, Associate Professor of Forestry at Louisiana State University in Baton Rouge, will lead Vélo Dendro S. Dr. Dozier will share her knowledge of the magnificent native and exotic tree species that grow in northwestern Louisiana. The ride will cover approximately 12-15 miles with frequent stops along the way to look at special trees. Water and snacks and rider support will be provided along the route. Vélo Dendro S is for all levels of riders, with an emphasis on family groups and casual riders. The cost of the tour is $15 for each rider, which includes a commemorative T-shirt and educational materials. Children 5 and under are free but must ride on their parents’ bicycles. Trailers for small children are encouraged. Children 14 and under must wear a helmet. KSCL 91.3 FM Centenary College Radio, sys Tyler Davis, and Artspace present MV & EE on Thurs, January 29th at 7:00 PM with opening act AJ Haynes (Big Momma Thump-It) and the Nutbuckets. MV & EE will give a rustic performance of psychedelic blues/folk while Big Mamma Thump-It and the Nutbuckets introduce us to some original tunes and a servey of jazzy covers of classic songs. 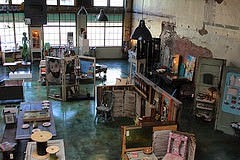 The show will be held at Artspace located at 710 Texas Street in Downtown Shreveport. Admission charge will be $5 at the door. All ages welcome. Snacks and beverages will be available for purchase at the Artspace cafe' area. Writes film maven David Nelson, director of minicine: "Last night I saw the most remarkable film over at the Robinson Film Center which may be sorta slipping through the cracks of the holiday season. The film, Ashes of Time Redux, is visually stunning, complex, requires some effort to follow but not to much (It is in Chinese with English Subtitles) , and totally worth seeing twice or more... and best on a big screen (a computer monitor or home DVD setup would be such a shame as an option for this one... ). I was so impressed by this film I called the RFC and asked if I could offer a ticket discount to everyone on the minicine? mailing list, and they agreed... So, if you are not a member of the RFC and you print this email out and present it when you buy a ticket you will get the members pricing... at $5.75, instead of the normal $8.75. This is a martial arts film in which amazing action meets art! OMG! And next week, continues Nelson... Let the Right One In (Swedish: Låt den rätte komma in) ! You can also use this email for "Let the Right One In" next week at the RFC. I saw this film in New Orleans in November and was totally captivated by it. It is Swedish, and it is totally tweaked. If you love vampire films this one will not disappoint; it's got one of the best vampire bite scenes I have ever seen on film. The Evangeline Piano Trio will present a Faculty/Guest recital at Anderson Auditorium, Hurley School of Music, Centenary College on Sunday, January 25 at 3 PM, says Ruth Drummond. The program consists of two short works, Oblivion and La Muerte del Angel, by Argentinian composer Astor Piazzolla; a trio by Spanish composer Joaquin Turina and Beethoven's "Archduke" trio. 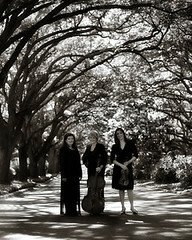 Performers are Jennifer Carsillo, violin; Ruth Drummond, cello; and Gay Grosz, piano. All are frequent performers on the recital and concert stage in our area and Grosz is Artist-in-Residence of Collaborative Piano at The Hurley School of Music. 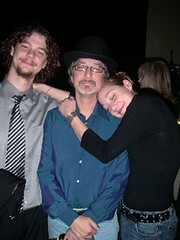 The Evangeline Trio has been performing since 1996 with Drummond and Grosz being original members. Professional photographer Tony Reans says of his workshops, "I like to help people make images that are engaging and evocative, with an added depth and emotion, rather than plain old snapshots. It's that special moment when I see the lights go on in a student's eyes, when for the first time they're creating the photographs that they always wanted. That's the moment that makes me proud to have taught them something new." To be addressed in the classes listed below: Abstract, Architecture, B&W, Children, Cityscape, Conceptual, Environmental, Events, Family, Fine Art, Flowers, Food, Home/Workplace, Humor, Insects, Landscape, Macro, Nature, Panoramas, Pets, Portraiture, Self-Portraiture, Still Life, Street, Studio, Wildlife. Wednesday nights, 6-9 pm, Jan 28th to April 15th. Register by Jan 23rd and pay only $179.00. The Louisiana Oil and Gas Museum, 200 S. Land St. in Oil City, La., is host to the Smithsonian Institute’s exhibit called New Harmonies, Celebrating American Roots Music, says Bruce Flett. It will be on display until January 15th. A special program is scheduled for Sun, Jan 11, at 2:00 PM: Huddie Ledbetter’s niece, Queen “Tiny” Robinson, will give a presentation entitled, “The Life and Times of Huddie “Lead Belly” Ledbetter.” Ms. Robinson founded the Huddie Ledbetter Foundation. Also on hand will be the current Foundation director, Tanya Singh and archivist, Alvin Singh. At the conclusion of this event, everyone is encouraged to drive to Huddie Ledbetter's gravesite at Shiloh Baptist Church near Mooringsport, (8 miles from Oil City) for musical tribute performed by Buddy Flett, Ted Lindsay, and Danny Wilder. 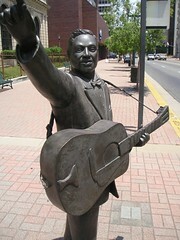 They will sing songs attributed to Lead Belly such as "Goodnight, Irene" and "Midnight Special." Presented by the Smithsonian Institute: New Harmonies - A Celebration of American Roots Music. The Animation and Visual Effects Institute (AVEI) at LSUS has been founded to educate talented candidates for careers in those fields, says John Miralles. Many of these areas of computer graphics use high-end software and techniques that can be exciting and a challenge to learn. "This workshop is intended to introduce a student with little or no prior exposure to the field of entertainment computer graphics. Topics to be covered will include basic digital imaging, using Adobe Photoshop, basic video compositing using HD footage and Adobe AfterEffects. An introduction to 3D Computer generated images will also be demonstrated," says Miralles. By the end of the workshop, students will have created their first visual effects shot, and have a greater understanding of the exciting fields! Note: There will be a 1 hour lunch break from 12-1. Middle School Students pay only $10. What to know about Austin's roots-rock quintet the Gourds is that they've made 9 albums, have a rep for raucous, droll live performances ("A rolling rag and bone pawn shop jalopy of song" ) and that guitarist Kevin Russell began his musical career in Shreveport in the Picket Line Coyotes. 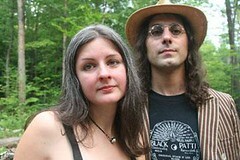 The Gourds will perform at Eldorado Casino on Sat, Jan 17, at 11 pm. The sextet Dirtfoot, the band who bring their own mermaids to work, will pop the evening's top, says Leslie Peck. 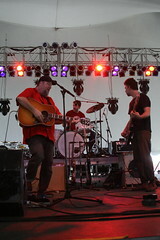 Sounding like Wilco or The Band, the Gourds ("Unwashed. Well read.") want it all. They want to be country. And rock. And silly. And enlightened. The Picket Line Coyotes cut their bashing first album in Shreveport after a period of gigging at the Killer Poodle, Silver Bullet and Humpfrees. They were reckless punks whose musical arc leads in a surprisingly direct way to the Gourds. Read more about that chapter of Shreveport rock history at Shreveport Blog as well as the Picket Line Myspace created by drummer and co-founder David M. Green (see photos, too). What to know about the Celebrity Lounge at the casino: comfortable furniture, great lights, excellent sound, no cover, age 21 and up. Also, they book terrific local bands such as Professor Porkchop, Groove Agents, Bushrod Jenkins, The Roscoes and Ambush. What to do with the non-living Christmas tree? a) Absurd art project. b) Pop it back on the roof and slip over to Capt Shreve stadium parking lot. Friendly tree workers will pack it in a truck for a trip to the coast. Recycling courtesy of Shreveport Green. Jan. 2 -3 from 8 a.m. to 5 p.m. 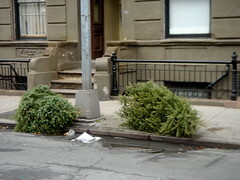 Trees should be free of ornaments, tinsel, flocking base and plastic bags. While you may know Alana Dyson as an artist or a chanteuse, perhaps as PJ Irving, singer of slinky standards, there's another side with which to reckon. She is a dedicated foodie who's so comfortable in the kitchen that she's decided to enroll in the French Culinary Institute. The best news is that she's a capable writer and photographer. And that she has a blog, Little Foodie, Big Dreams. If things go well, her friends, family and fellow foodles can follow her as adventures in NYC come to table. New Years' day she's up to cabbage, peas and turkey. There's also mirepoix, garlic and pate. On the 29th she posted about cooking Whole wheat onion and Jarlsberg tartlets. Wow. Hope she can keep her prose and camera work going despite the tastevin overload of the Big Apple.